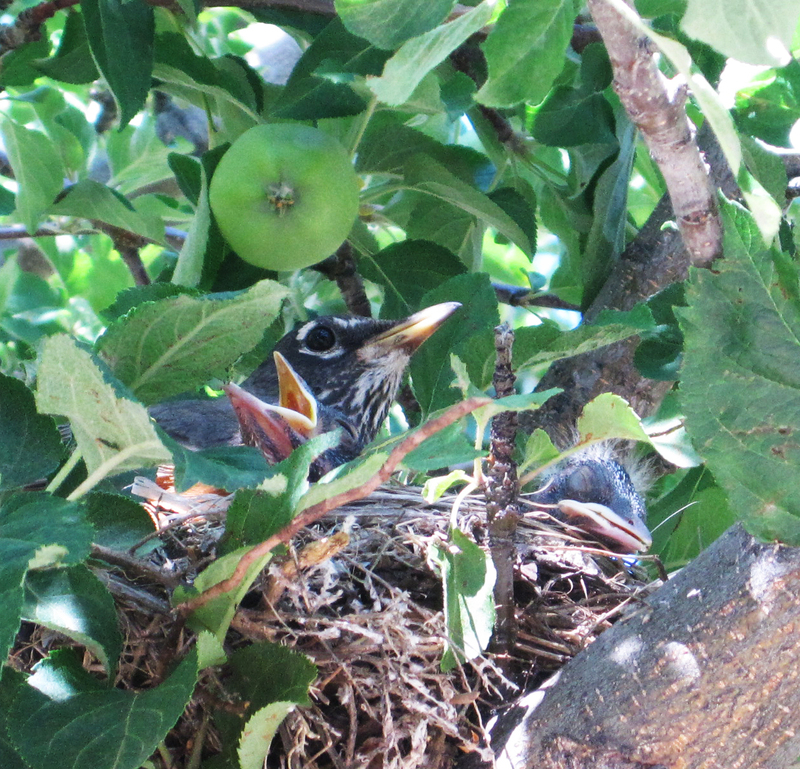 A couple weeks ago, The Girl and her friends discovered a nest in an apple tree across the street. I had to run outside to get all the children out of the tree (they were climbing it to see the eggs inside and mama bird was nearby having a fit). This afternoon, The Girl came in all excited and wanted the camera. 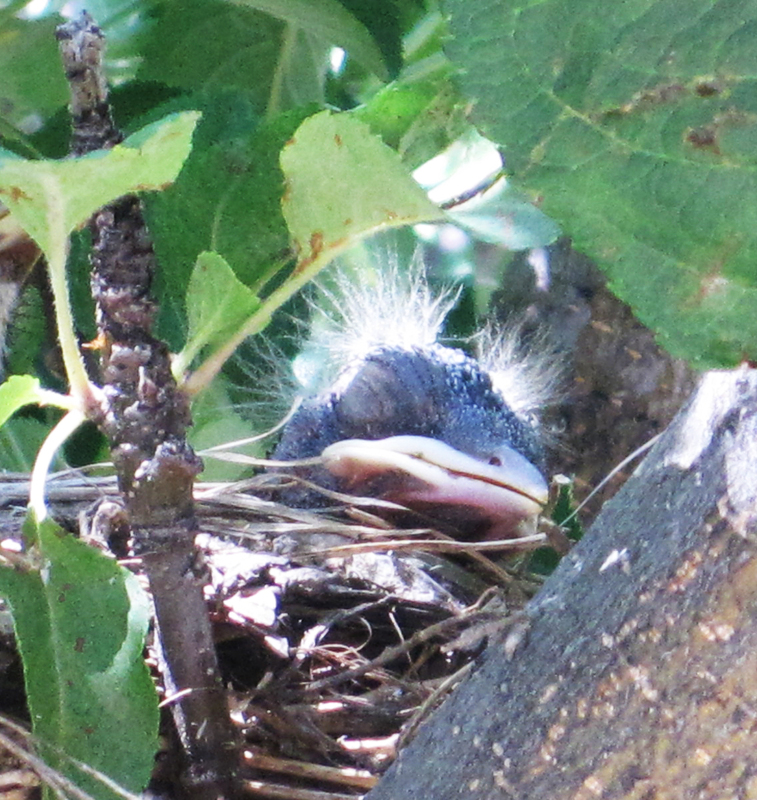 The eggs had hatched! You can see two of the babies here with their mama (there are three babies). They don't even have their eyes open yet. You can tell how low the branch is by these pictures. The Girl, with her 8-year-old height, was able to snap these photos from the sidewalk.